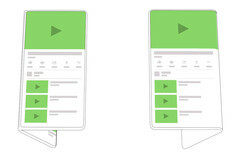 2019 looks like the year that smartphones with truly foldable displays will start to become the next big thing. And unlike some previous efforts from Android device makers that have leapt ahead of what Google was officially supporting on the platform, Android will be ready with native OS-level support for these devices. 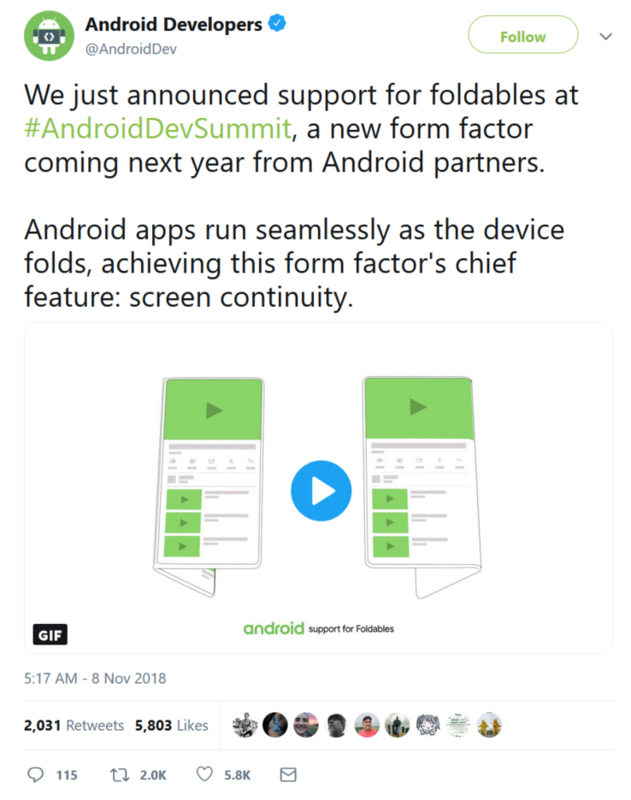 Google made the announcement at its own Android Developer Summit where it said that it is working with with Samsung and other Android partners to make foldable smartphones work seamlessly. The aim is to have an open app transition from being folded into an unfolded display without needing to shut it down and relaunch it, for example. Google is calling this screen continuity. Samsung’s new Infinity Flex display demonstration, unfortunately, didn’t show this feature in action. However, it was a great illustration of how the form factor will bring the dream of having a device that is both pocketable as well as offering a large display a reality. With official Android support for the form factor, it is shaping up to be the next big breakthrough in the smartphone market.